This high leg recliner will allow you to keep a decorative look in your home while offering the comfort of leaning back with your feet up. It has decorative track arms and long, lean legs. 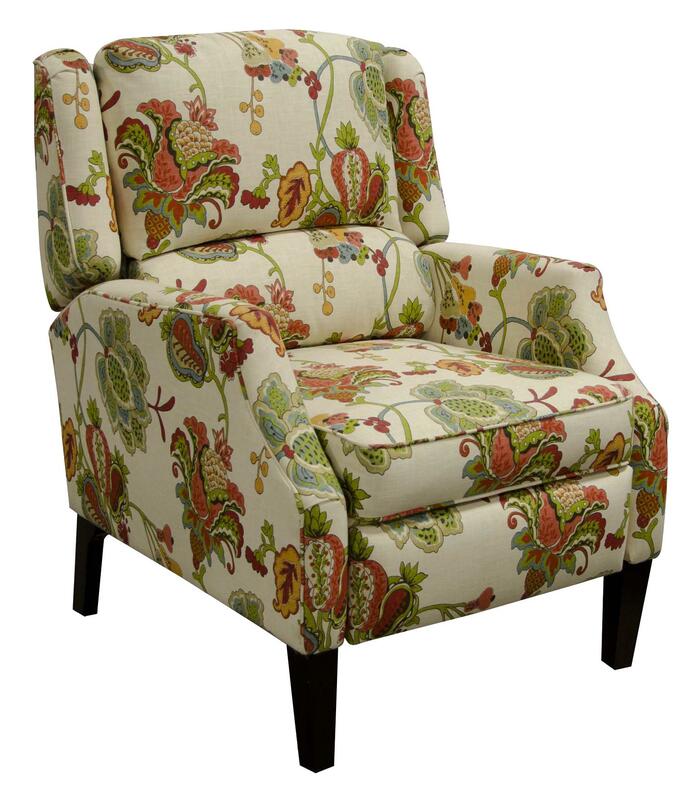 Use this recliner in coordinating with nearly any room style from traditional to casual or contemporary. This chair offers a clean look as well as comfort and is made by a manufacturer who is known for creating quality at an affordable price point.. The 984 Living Room Recliner with Legs by England at EFO Furniture Outlet in the Dunmore, Scranton, Wilkes-Barre, NEPA, Bloomsburg, Pennsylvania area. Product availability may vary. Contact us for the most current availability on this product. Fabric Options Available in an assortment of upholstery options through special order methods. Tailoring Welt cord trim for a tailored look. Arm Thin track arms with an elegant side facing silhouette. Seat Back Channeled, recline seat back. Seat Plush seat cushion with welt cord trim tailoring. Base Description Exposed wood legs in a long, lean style. Seat Support Sinuous wire seat cushions.